Aluminium French doors combine traditional style with contemporary material and top-class performance. They are an elegant and glamorous addition to any home. They can be installed directly onto your home to open out onto your garden or patio area, or as the entrance to a conservatory, orangery, or traditional brick built extension. 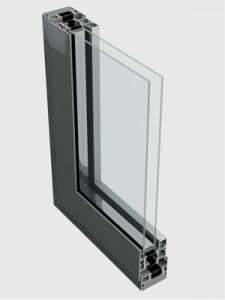 Aluminium is an excellent material choice for French doors. Aluminium French doors will increase your home’s energy efficiency and provide excellent levels of security. All our aluminium French doors are fitted with multi-point locking systems as standard. When combined with toughened safety glass, you’ll have peace of mind that your home or business premises is safe and secure 24 hours a day. At Elitis, our aluminium French doors are available with a range of customisation options. Choose from a selection of hardware including handles, knockers, and letterplates and a wide range of glazing options. As with all our aluminium products you can choose from over 200 RAL colours. The powder coated finish is durable and attractive, adding a touch of individuality to any building. For a fashionable continental aesthetic, aluminium French doors are the perfect choice. At Elitis, all our products are professionally installed by our network of installers. We only use highly qualified and experienced installations teams to ensure that every installation is a successful one. We manufacture all our aluminium French doors at our factory in Stoke-on-Trent to enable us to oversee quality and efficiency in all our production processes.